Vogue January 2015 issue. 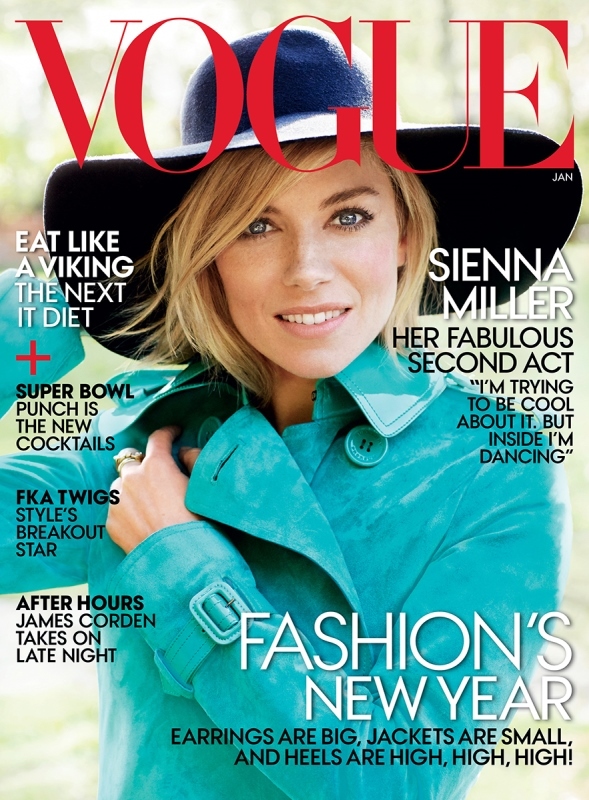 Sienna Miller on the cover. God she has such a lovely face. And the smattering of freckles across her nose is so attractive. It defined her. She calls it her “Boho Moment”. She acknowledges that it defined her. And not just in gossip blogs either. Even people in the industry were aware of the reputation, put off by the reputation. Some great quotes here from Bennett Miller (Foxcatcher director) and Bradley Cooper about her audition tapes and how she surprised them. Cooper was actually like, “F-ck off, THAT’s Sienna Miller”? For Sienna then it wasn’t about killing the spirit but rather reigning it in. In plain terms: growing up. And, of course, don’t forget the whitewash of motherhood although, in fairness, she’s hardly pimped her baby. I am… to a point. But at the same time, I’m also waiting. I wonder if Sienna’s like Ben Affleck in that way. You know, he pulled it all together. Like 90% together. And then once in a while, that 10%, you can see it glimmering around his good behaviour, like that grey hair that keeps growing back and resists all attempts to be tucked in, even under hairspray. Did you know that Ben will be directing Sienna in a film called Live By Night? Oh the possibilities. 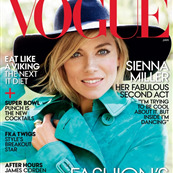 Click here to read the full Sienna piece at VOGUE and to see more pictures.